When you are happy with the final video it is time to put it somewhere where people can access it. The best place in my opinion is YouTube for two reasons. Because it gets billions of viewers globally each day, it can only be of benefit to you. Imagine the amount of traffic you could be getting as a result of many people watching your video. This represents great exposure for your product, service or business. Not to doubt it is bigger than your mom's basement. That is one of the social video sharing site's main draws. It has built this community over the course of time, from almost nothing to one of the biggest sites in the world. Wanting to get your video noticed is a good thing. However, many novice publishers are far too heavy-handed with their YouTube promotion, leading to very bad results. If you want to really impress your audience and do superior promotion, then make sure you order this service. 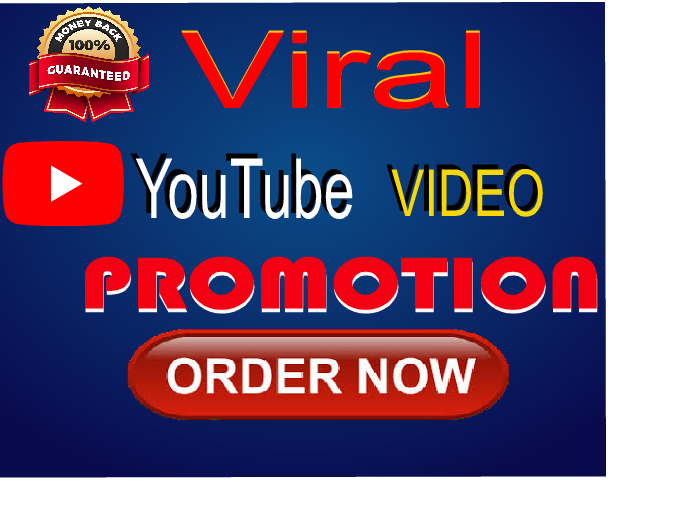 Do Viral Youtube Promotion is ranked 5 out of 5. Based on 7 user reviews.